Sixty-seven minutes once a year is not enough to change the world - Vodacom, via the Vodacom Foundation, is making every day a Mandela Day. Vodacom is dedicated to continuing Madiba’s work, fighting poverty and inequality, striving to eradicate social ills and building a society inspired by the values of the global icon. 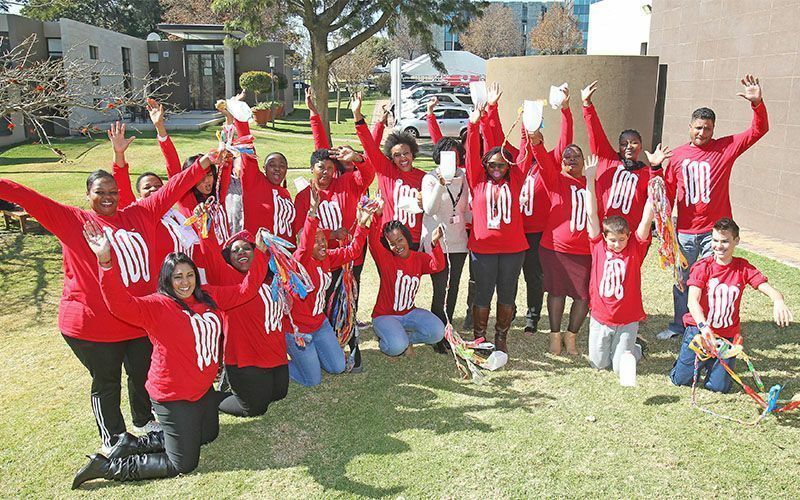 Vodacom’s centenary celebration campaign prompts all Vodacom staff to take #ActionAgainstPoverty, inspire change and make every day a Mandela Day. For this Mandela Day, Vodacom is focusing on Early Childhood Development (ECD), as it is a vital first step for the children of SA towards getting a quality education and breaking the cycle of poverty. The first 1000 days of a child’s life are key to unlocking his or her life-long potential. By age five, almost 90% of a child’s brain is developed. That means that factors such as nutrition, good healthcare, clean environment and education are vital in these early months. That’s why Vodacom is aligning its volunteerism activity for the Nelson Mandela centenary celebrations to address some of these issues. As part of the Mandela Day initiatives, Vodacom will support ECD Centres close to our Schools of Excellence. These will be improved to create a healthier, safer learning environment for children. With new toys and equipment, kids are better able to prepare for formal schooling, and ultimately succeed at school. Also, the upgrades will help the ECDs comply with official standards and work towards receiving government grants. The makeovers will include upgrades like painting the buildings, jungle gym and fence, planting a veggie garden, laying of grass or artificial turf and assisting with breakfast. Vodacom staffers are encouraged to participate in charitable initiatives throughout the year, but especially around Mandela Day. Employees will participate in the makeovers, giving of their time and skills to help the community. 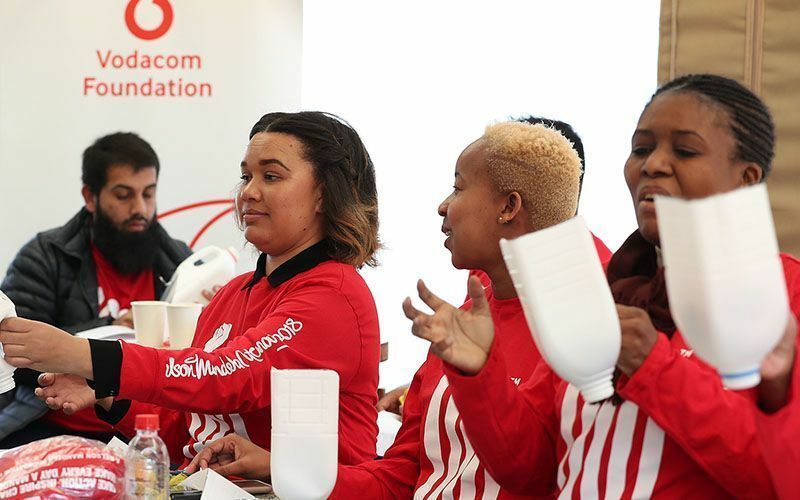 Not only does this give staff the chance to give back, but it gives the Vodacom family the opportunity to pull together for visible volunteering with lasting impact. Vodacom staff members can also sign up for payroll giving and the funds will be diverted to the Nelson Mandela Fund in support of the eradication of pit latrines. Zero hunger: Provision of breakfast at Vodacom-supported ECD centres. Quality education: Vodacom has a number of educational initiatives, including ECD Centres. Owners of these centres are being given additional training, and Vodacom staff will volunteer to impart skills such as financial planning and admin to the centre staff. The centres are being provisioned with better facilities, tablets and ECD apps. Good health: Provision of first-aid kits and the assistance of Vodacom’s Health and Safety Department. Decent work: Better ECD centres will be able to hire more people, creating jobs in the community. 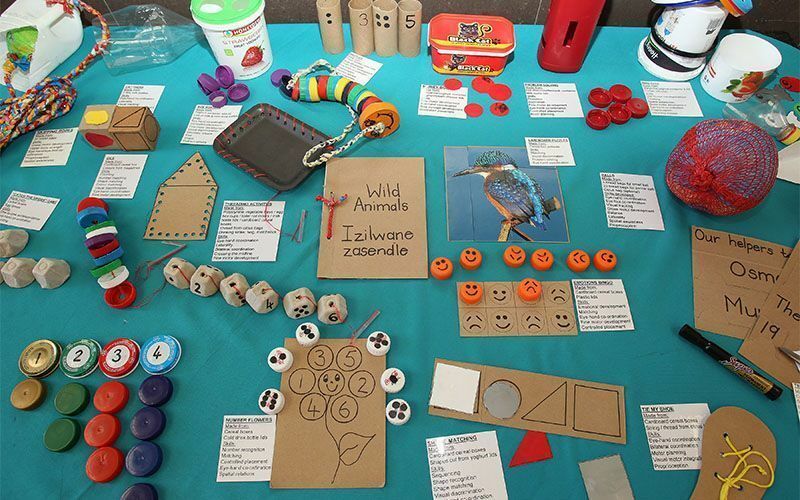 Sustainable communities: Trash is being recycled into toys for the centres by Vodacom staff. Good health: Upgrading of ECD centres will in some cases include upgrading toilet facilities, thereby improving sanitation and health. Gender equality: Training for the women who run these centres helps empower not only these women but the assistants and helpers she will be able to employ. 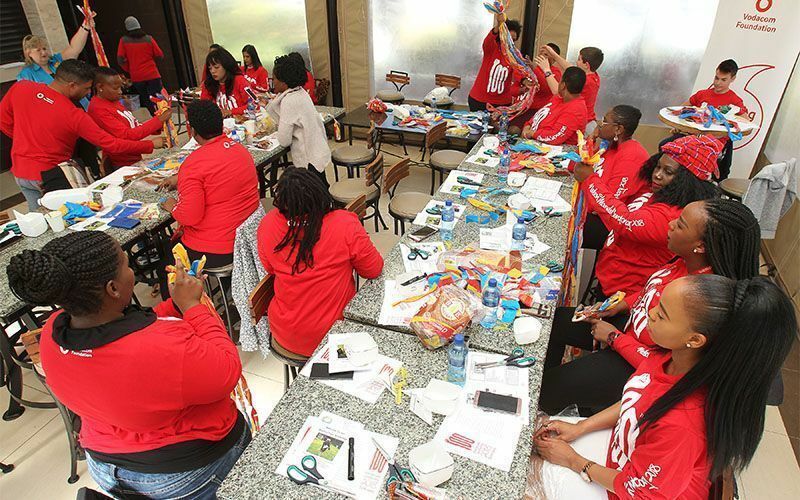 As part of their focus on Early Childhood Development, Vodacom employees in Gauteng, Western Region, Limpopo and Nelspruit have been lending a hand to turn trash into fun, educational toys. 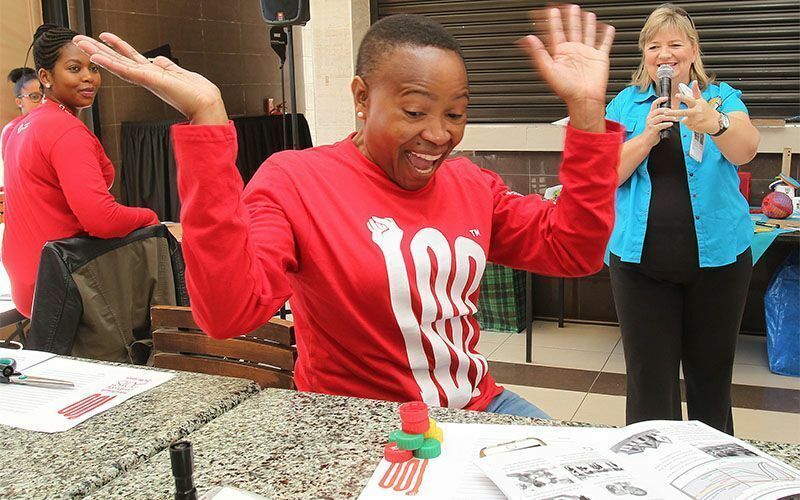 The toys are created at workshops run by Singakwenza, an organisation that runs training programmes for ECD operators in economically disadvantaged communities. The toys will be donated to the upgraded ECD Centres. Vodacom is partnering with NPO Rise Against Hunger to pack food parcels at venues around the country. The event is endorsed by the Nelson Mandela Foundation, and supports the Vodacom Foundation’s objectives of supporting education as the food will be distributed just before the September school holidays at the 12 Vodacom Schools of Excellence across SA. Get involved - get a job at Vodacom! Find out more about the Vodacom Foundation’s work here. If you’d like to be a part of these initiatives, consider joining the Vodacom family. Check out Vodacom’s career page here. There is no doubt water scarcity is a serious problem in South Africa. This is why it’s especially important for local businesses and communities to work together to promote water sustainability.